When the Flyers acquired goaltender Cam Talbot prior to the trade deadline, the expectation was that he’d take some pressure off Carter Hart and potentially sign on for beyond this season. The former certainly hasn’t happened as he has played all of 93 minutes since the trade and as John Boruk of NBC Sports Philadelphia reports, no progress has been made on the latter either as there have not yet been talks regarding a new deal. Despite the lack of playing time, the 31-year-old indicated that he’d like to stick around in Philadelphia beyond this season. With Brian Elliott and Michal Neuvirth both unlikely to return, Talbot could wind up getting his wish but will need to take a reduction on his current $4.167MM AAV. 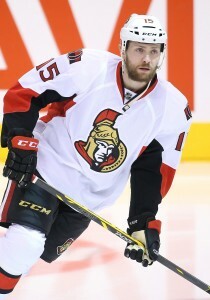 The Senators could have center Zack Smith back in the lineup on Thursday night, reports Postmedia’s Ken Warren. He has missed the last two games with lingering back issues so it’s possible he’ll see limited action down the stretch. Meanwhile, defenseman Cody Ceci is making progress in his recovery from an upper-body injury that has caused him to miss the last three games although there remains no timetable for his return. While the Panthers have been speculatively linked to winger Artemi Panarin and goalie Sergei Bobrovsky in free agency, GM Dale Tallon told Ken Campbell of The Hockey News that they will be looking to utilize their cap room (which figures to be in the $20MM range depending on the increase to the Upper Limit) to bolster their back end. Florida has struggled considerably keeping the puck out of their net this season as only two teams have allowed more goals than they have. However, aside from Erik Karlsson (who is more of an offensive blueliner than a defensive one), there aren’t many impact rearguards that project to be available on the open market. With that in mind, there’s a good chance they’ll have to go the trade route to upgrade on defense. Boston’s desire to add scoring depth on the wing is well-known and it appears they’re open to adding a player signed beyond this season instead of necessarily looking at a rental. In an appearance on WGR 550 (audio link), TSN’s Darren Dreger indicated that Kings winger Tyler Toffoli is someone that the Bruins are believed to have interest in. The 26-year-old has struggled considerably this season, scoring just eight times in 50 games despite logging a career-high 17:26 per night. That’s not great value for a player with a $4.6MM cap hit through next season but Toffoli is also someone that certainly could benefit from a change of scenery which makes him an intriguing trade target to watch for. Red Wings defenseman Trevor Daley will be out another seven-to-ten days with as he works his way back from a broken foot, notes Ted Kulfan of The Detroit News. The veteran has played in just 31 games this season but a good showing in his return might give Detroit a small chance to move him and get out of the final year of his contract which carries a $3.167MM cap hit. It’s worth noting that on February 16th, his full no-trade clause drops to a 15-team restriction. Although Sharks center Joe Thornton has been playing regularly since returning from a knee infection and a broken toe, he still is not fully healthy, head coach Peter DeBoer told Curtis Pashelka of The Mercury News. The 39-year-old is logging just 15:31 per game, his lowest since 1998-99. If the issues persist, it could force San Jose to look into bringing in some extra depth down the middle between now and the trade deadline. The Department of Player Safety announced (Twitter links) a pair of $5K fines for incidents from Friday night. Lightning winger Nikita Kucherov was fined for a trip on Islanders defenseman Scott Mayfield while Senators center Zack Smith was hit with a fine for an elbow on Penguins rearguard Marcus Pettersson. The amounts are the maximum allowable under the CBA. It looks like the Boston Bruins may get back goaltender Tuukka Rask on Tuesday after he was granted a leave of absence on Thursday for personal reasons, according to NHL.com’s Amalie Benjamin. The scribe writes that the team will talk to the veteran Monday with the hopes of his return immediately thereafter, but nothing is confirmed until then. Rask has struggled all season before requesting a leave of absence as the veteran has a 3.05 GAA and a .901 save percentage in eight appearances, not the numbers that a player making $7MM. While the Bruins have kept Rask’s reason for the request silent, the hope is that a break may be able to help him re-focus on the season. The Bruins have been fortunate to have signed Jaroslav Halak, who has been impressive and looks to have seized the starting job away from the struggling Rask. Halak has a 1.86 GAA and a .941 save percentage in 10 appearances. He stopped 40 of 41 shots in Saturday’s victory over Toronto and without Rask on hand, is expected to play back-to-back against Vegas today. Benjamin also reports that Boston Bruins head coach Bruce Cassidy said that defenseman Kevan Miller could return by the end of the team’s four-game road trip that starts on Wednesday. Miller hasn’t played in a game since Oct. 18 with an undisclosed injury. The Ottawa Senators got a nice piece of news today as center Jean-Gabriel Pageau was seen taking the ice alongside defenseman Ben Harpur and forward Zack Smith, according to TSN’s Todd White. It was reported that Pageau, who suffered a torn Achilles on Sept. 13, would miss six months, however, Pageau has made remarkable progress. While skating is just one step on his way to a full recovery, it’s a good sign to see him back on the ice. Head coach Guy Boucher said that even the medical staff has been impressed by his recovery, although he’s still a long ways off. Senators winger Brady Tkachuk skated for the first time today since tearing a ligament in his leg, notes Postmedia’s Ken Warren. The fourth pick back in June was off to a very strong start to his season with three goals and three assists in just four games before suffering the injury. Although this is certainly a step in the right direction, he’s likely to miss at least another two to three weeks based on the original recovery timeframe. Meanwhile, Warren adds (via Twitter) that center Zack Smith underwent surgery on Sunday to repair a trio of facial fractures and has been prohibited from any physical activity for at least a week. He has been placed on injured reserve. The Senators are now down to just 12 healthy forwards so there’s a possibility that they’ll make a roster move in advance of Tuesday’s game against Arizona. The Red Wings announced (Twitter link) that they will be without center Frans Nielsen for at least the next two games due to an undisclosed injury. The veteran got off to a quiet start to his season but has been more productive as of late with four assists in the last four games. Detroit may also be without center Andreas Athanasiou tomorrow night as he is listed as doubtful with an undisclosed injury. The 24-year-old is tied for the team lead in goals with four through the first eleven games. Penguins defenseman Kris Letang left practice early today due to a lower-body issue that occurred on Saturday, reports Jason Mackey of the Pittsburgh Post-Gazette. As a result, his availability for Tuesday’s game against the Islanders is in question. Meanwhile, winger Jake Guentzel should be able to play despite leaving Saturday’s game early following a high-stick to the face from teammate Dominik Simon. While Senators center Matt Duchene had a strong showing in his first game back in Colorado following his trade last season, things didn’t go as well for the rest of the team. On top of losing the game, center Zack Smith sustained a broken bone in his face after being hit by a skate, notes Postmedia’s Ken Warren (Twitter link). There’s no timetable for how long he’ll miss but he has been sent home by the team for treatment, suggesting he’ll miss at least the next two games with the team on the road out West. Head coach Guy Boucher classified the injury as “serious”. Smith, who cleared waivers at the end of the preseason, has gotten off to a solid start this season. Through nine games, he has two goals and three assists while leading all forwards in hits with 21. He also sits second to Duchene in faceoffs won and taken. That’s more of the output the team was expecting when they inked him to a four-year, $13MM extension back in January of 2017; that contract played a big role in him making it through waivers unclaimed. It has been a rough season already for Ottawa when it comes to injuries. Center Jean-Gabriel Pageau tore his Achilles’ tendon back before training camp while veteran winger Marian Gaborik is dealing with a lingering back issue. Meanwhile, winger Brady Tkachuk, who had six points in his first four NHL games, is also on the shelf due to a torn ligament in his leg. The Senators were only carrying the minimum 12 forwards on their active roster so there’s a very good chance they will be bringing someone else up before they take on Vegas on Sunday. Although Devante Smith-Pelly’s absence from Washington’s lineup so far this preseason has been conditioning-related, Isabelle Khurshudyan of the Washington Post reports that the Capitals won’t be taking the same route that Tampa Bay did with Jake Dotchin by seeking to terminate his contract. GM Brian MacLellan noted last year that Smith-Pelly’s conditioning level wasn’t ideal in his first training camp with the team but the 26-year-old wound up being an important contributor for them in the postseason. It certainly appears that his second campaign with the team will start in a similar manner. The Senators had some trade talks regarding recently-waived center Zack Smith but Ottawa was hoping to avoid taking a contract in the return, reports Postmedia’s Bruce Garrioch. Considering he has three years and $9.75MM left on his contract, it’s understandable to think that teams that have interest would want to offset the money somewhat which has led to the team putting him on waivers in the hopes that a team would assume the remainder of the contract for free. Garrioch spoke with some general managers around the league and they indicated that it’s unlikely that Smith will be picked up. Rangers winger Matt Beleskey sustained a shoulder injury in a fight last night against the Devils, notes Brett Cyrgalis of the New York Post. However, head coach David Quinn doesn’t believe it will be a long-term issue but adds that it’s “too early to tell”. Beleskey came to New York as part of the Rick Nash trade but spent the majority of the time at the minor league level. He was already viewed as somewhat of a long-shot to make the team despite his contract and this won’t help his cause. Penguins center Riley Sheahan returned to practice after missing the last ten days with a lower-body injury, notes Jonathan Bombulie of the Pittsburgh Tribune-Review. Pittsburgh hopes to get him into at least one preseason game and have a couple of chances to do so with the team playing Wednesday and Friday. With the Senators struggling mightily this season, it has been expected that they will be sellers in the weeks to come. One player that has been suggested as a candidate to be dealt is center Zack Smith and Postmedia’s Bruce Garrioch reports that Calgary is believed to have shown an interest in his services. Smith is in the first year of a four-year, $13MM contract he signed last January, foregoing unrestricted free agency in the process. At the time, he was in the midst of his second straight season with at least 15 goals and 30 points and was providing Ottawa with strong secondary scoring along with his usual gritty style of play. Things haven’t gone as well for the 29-year-old this season, however. Smith has battled injury issues, missing time with three separate problems (upper-body, thumb, and shoulder) and when he has been in the lineup, he hasn’t been as productive as he has in recent seasons. Through 27 games, he has just three goals and six assists despite logging over 16 minutes of ice time per night. It’s understandable that Calgary would have interest in adding some help down the middle. Sam Bennett has played well since moving to the wing while there is some uncertainty regarding the future of pending UFA pivot Mikael Backlund. Matt Stajan, their fourth line center, is also set to be an unrestricted free agent as well so landing someone with several years of team control would make some sense. Smith’s physicality would also fit in well in the tougher Western Conference. It’s worth noting that he has a ten-team no-trade clause and it’s not known at this time if the Flames are on that list or not. Considering his struggles this season, whoever acquires Smith would be taking a bit of a risk that a change of scenery helps get him back to the level he has played over the past couple seasons because if not, he will be an expensive depth player. However, it’s fair to infer that Ottawa’s asking price can’t be too high given Smith’s struggles so while there is a bit of risk, there is certainly the potential for a higher reward as well if he returns to his 2015-16/2016-17 form.